A former Immigration and Customs Enforcement spokesman slammed the agency for being “OK with lying to the American public” in his first TV interview since he resigned in March. James Schwab told CBS News on Wednesday that he became “extremely uncomfortable” in February when Attorney General Jeff Sessions made false statements about immigration raids in Oakland, California. Sessions blamed Oakland Mayor Libby Schaaf for allowing 800 “wanted aliens” to escape arrest by tipping off the public about ICE plans to raid the city. But Schwab said that Sessions’ claim was “completely false” and that Justice Department and ICE officials grossly exaggerated the mayor’s impact on the number of arrests. 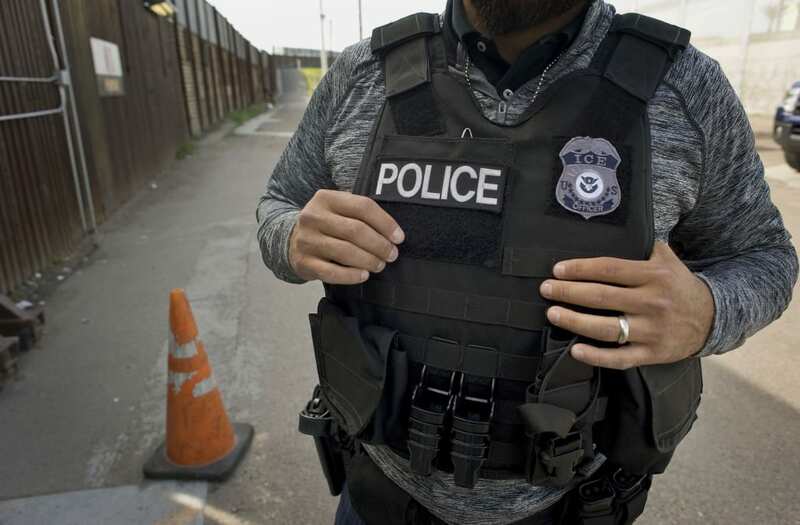 During the taping of Schwab’s interview with CBS, two men who identified themselves as agents of the Department of Homeland Security’s Inspector General’s Office knocked on his front door. “They just said they wanted to talk to me about the leak with the Oakland mayor. ... I’ve never met her before. I’ve never contacted her,” Schwab told CBS News. He said the agents’ surprise visit was an attempt to intimidate him. Neither ICE nor the Department of Justice immediately responded to HuffPost’s requests for comment.